We are delighted to welcome you to the Private View for the Constructed Geographies exhibition at ONCA Gallery on Fri 8 February, 6-8pm. The event will showcase new art work by Maria Amidu, Akila Richards, Amanda Jobson, Rikki Tarascas, Judith Ricketts, Josef Cabey and Amy Zamarripa Solis. Original art work, limited edition prints and merchandise by the artists will be available for sale on the evening. 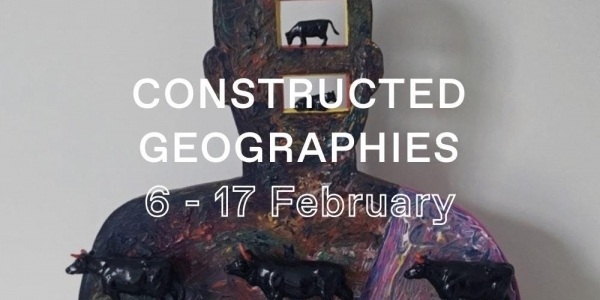 Constructed Geographies is a new visual arts exhibition featuring new art work created in response to Sussex’s diverse heritage and population. The artists are: Maria Amidu, Akila Richards, Amanda Jobson, Rikki Tarascas, Judith Ricketts, Josef Cabey and Amy Zamarripa Solis. The artists work across a variety of mediums including painting, photography, mixed media collage, glasswork, textiles, video and installation. The broad theme of the exhibition allowed each artist to approach it differently, working to explore the rich cultural heritage of the area and draw out stories from a range of communities. 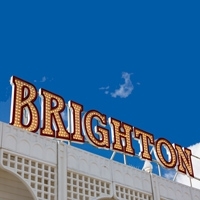 The exhibition seeks to claim a space for all in Sussex. From the remains of an ancient African women found on Beachy Head to local histories in the African hairdresser in Eastbourne, the exhibition works to dispel the misconception that there is a lack of diversity in the region. You just need to know where to look. The exhibitions will be accompanied by a public programme of artist talks, workshops and interventions, plus film, music, food and spoken word. Check gallery websites for all dates and times.